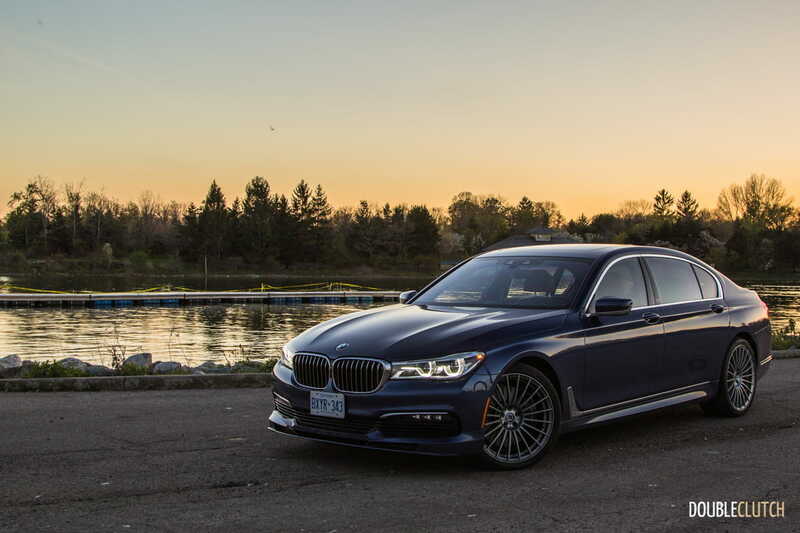 A car that packs oodles of luxury and technology almost unmatched by anything else available right now. 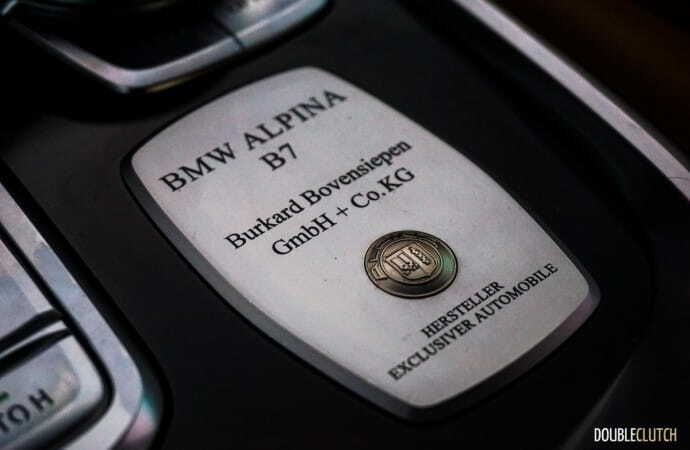 Alpina Burkard Bovensiepen GmbH & Co. KG is the full name of the Buchloe, Germany based company. 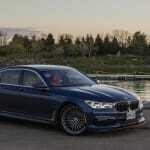 Though some other side projects have surfaced from the brand, they’re best known for the creation of exclusive high performance versions of BMW vehicles. 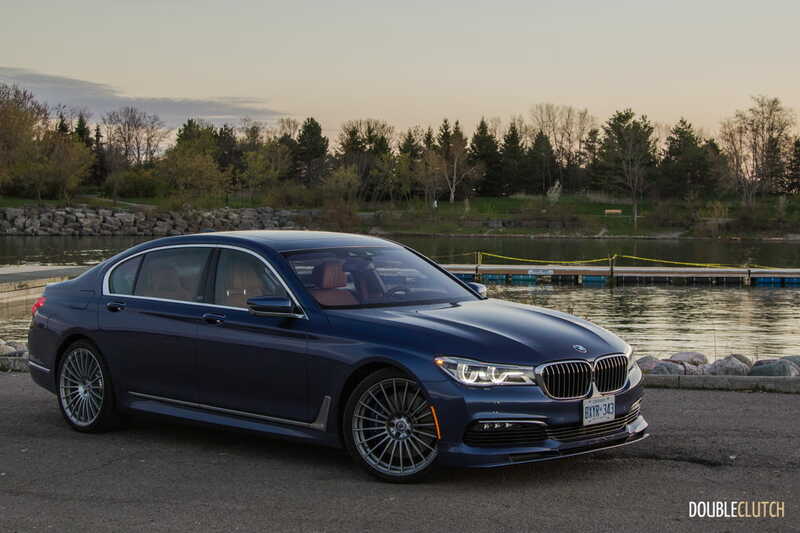 Their latest creation is the 2017 BMW Alpina B7 xDrive, the current range-topper of the 7-series lineup. Built on the same Dingolfing, Germany assembly line as the “regular” 7-series, the Alpina B7 has many unique hand-built components that require each example to be shipped off to Buchloe during the manufacturing process. 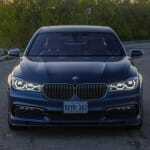 At first glance, the B7 looks like a tastefully modified 7-series, though the keen will easily be able to differentiate it from the likes of the 750i. 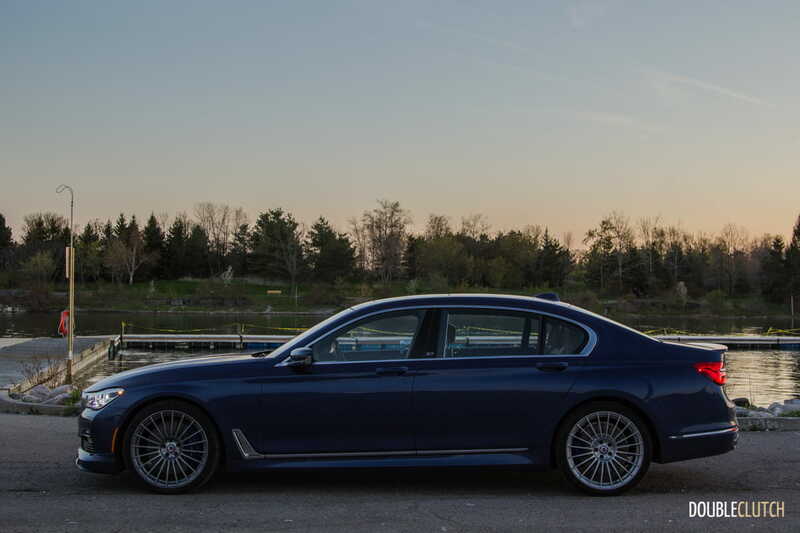 Exclusive colours to the B7 are the pictured-here Alpina Blue and a stunning Alpina Green II. 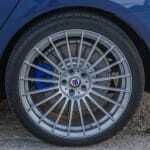 The 20” Alpina Classic wheels add to the car’s beauty, though they don’t have the locking center cap and center-mounted valve stem that models of the past have offered. 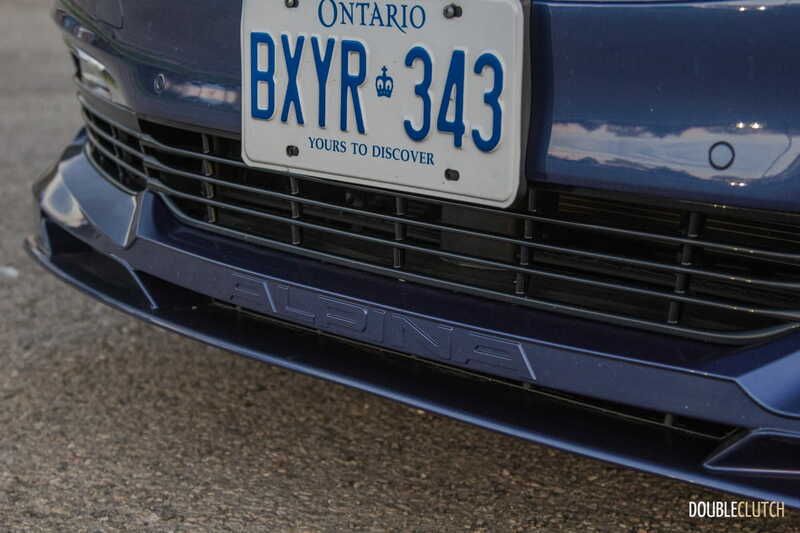 The front and rear spoilers are both functional, and the active grille shutters are a nice touch too. 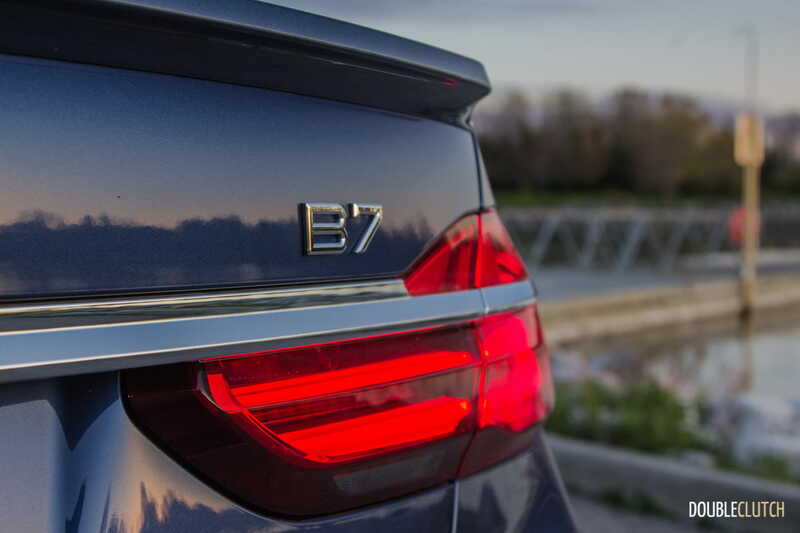 The B7 also sits with a perfect stance that leads it to stand out from every other sedan on the road. 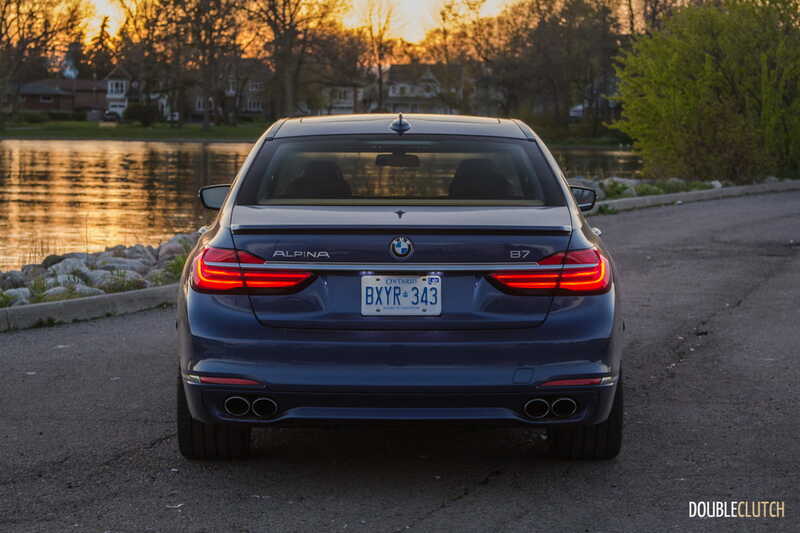 Under the hood of the Alpina lies a heavily massaged and hand-built version of BMW’s 4.4L twin-turbocharged V8 with a 10.0:1 compression ratio, codenamed N63. 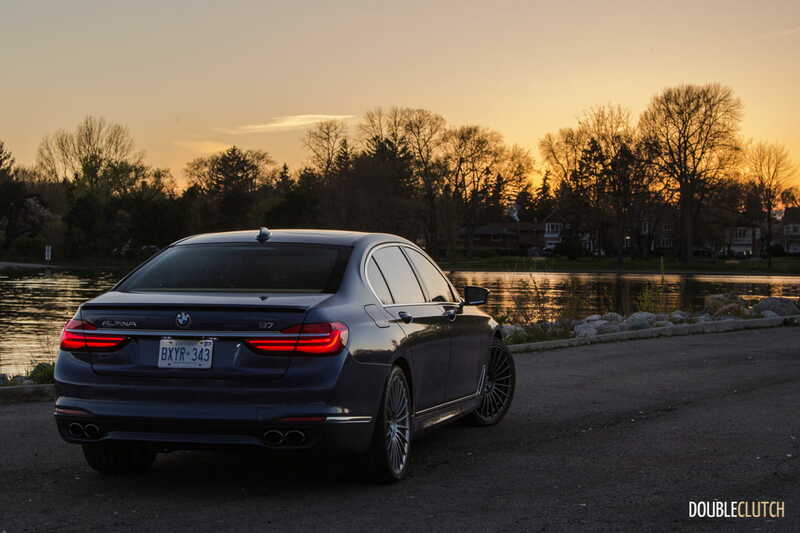 This motor pushes 445 horsepower in the standard 750Li (reviewed here) but here has been tuned for 600 horsepower at 6,250RPM and 590 lb-ft of torque at just 3,000RPM. This generous power bump is courtesy of beefed-up turbochargers (boost hitting a maximum of 20psi), NGK spark plugs, Mahle pistons, and a special intake and intercooler unique to this car. 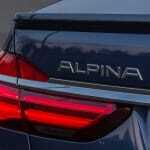 Additionally, there is an Alpina dual-mode exhaust that sounds good both inside and out. 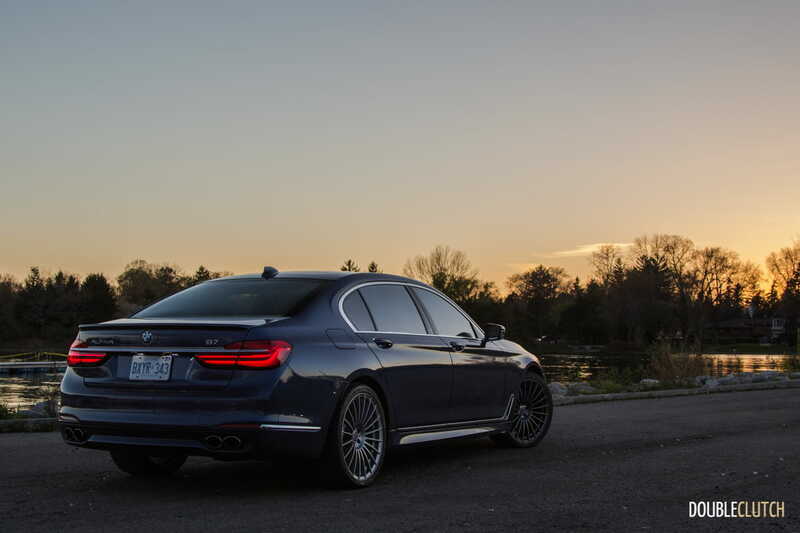 All of these enhancements mean the Alpina B7 will hit a claimed 100 km/h in just 3.7 seconds, though our own testing reveals that this number is a little bit on the conservative side. The car is insanely fast, hurtling to highway speeds with no effort at all. 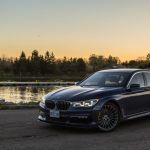 Turbocharger lag is minimal, and the B7’s acceleration is almost akin to the last Tesla Model S (reviewed here) we tested, with its Insane Mode. 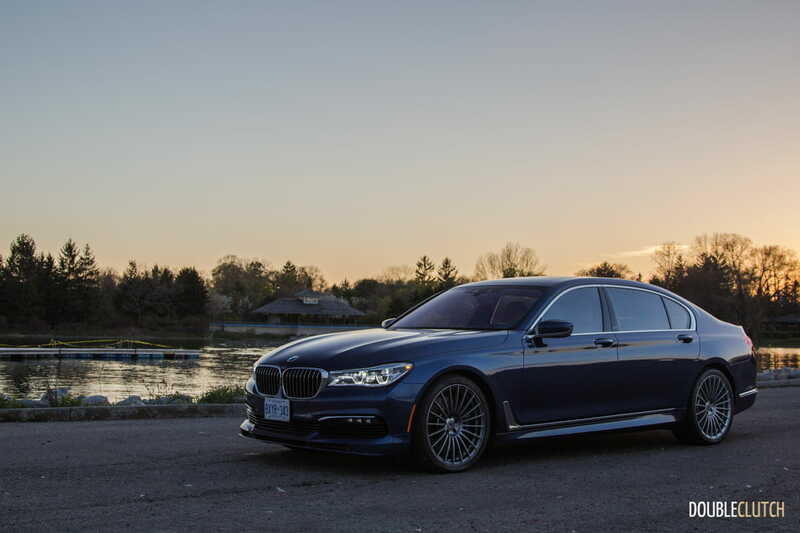 The latest B7 is also considerably lighter than its predecessor, thanks to the Carbon Core structure that the latest 7-series offers. 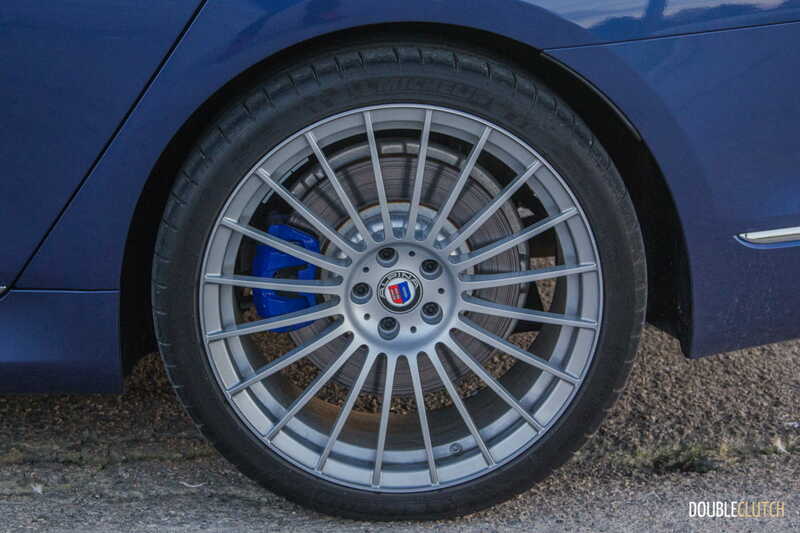 The adaptive damping with four-corner air suspension, with a height adjustment range of 40mm, makes the ride buttery smooth in Comfort and Comfort Plus settings, and firm and aggressive when commanded. 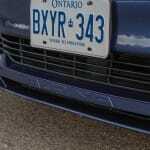 Up to speeds of 32 km/h, the ride height can be raised 20mm to minimize the chance of scraping when entering or exiting driveways. 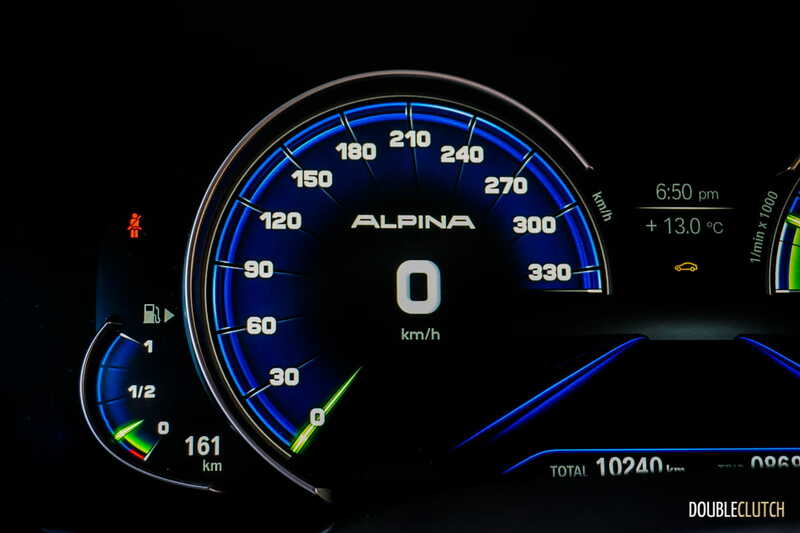 When operating at speeds of over 225 km/h (we did not get a chance to sample this), the Alpina hunkers down by 20mm for aerodynamics. The blue-painted four-piston fixed calipers complement brake discs that are 395x36mm front and 370x24mm rear, with floating calipers. 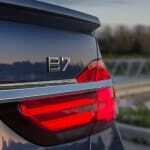 This B7 is equipped with BMW’s xDrive all-wheel-drive, which has been tweaked for rear-biased torque distribution. It works well, too, because power is available when you want it, where you want it. This car hauls, both in a straight line and around corners. 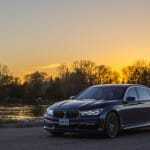 The eight-speed ZF transmission shifts faster than it does in every other 7-series, and the athletic personality of the car reveals itself as soon as the “Sport” or “Sport Plus” modes are selected on the BMW Drive Select. 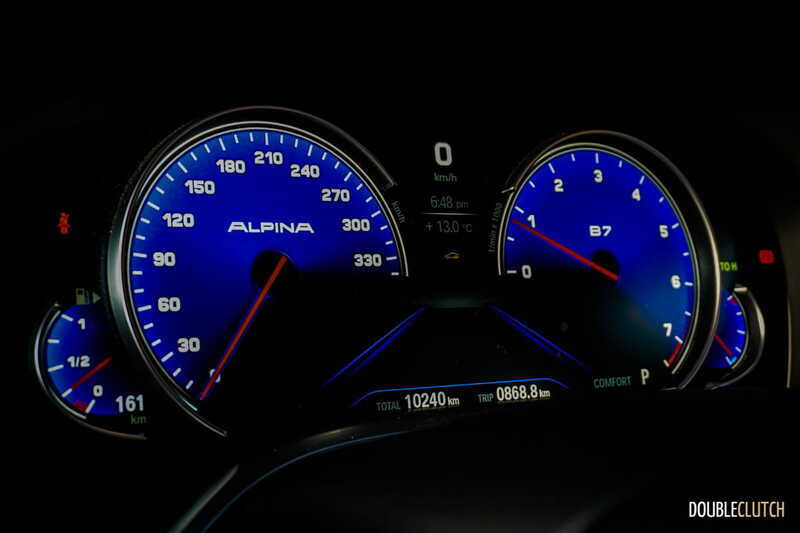 Alpina claims a top speed of 310 km/h. 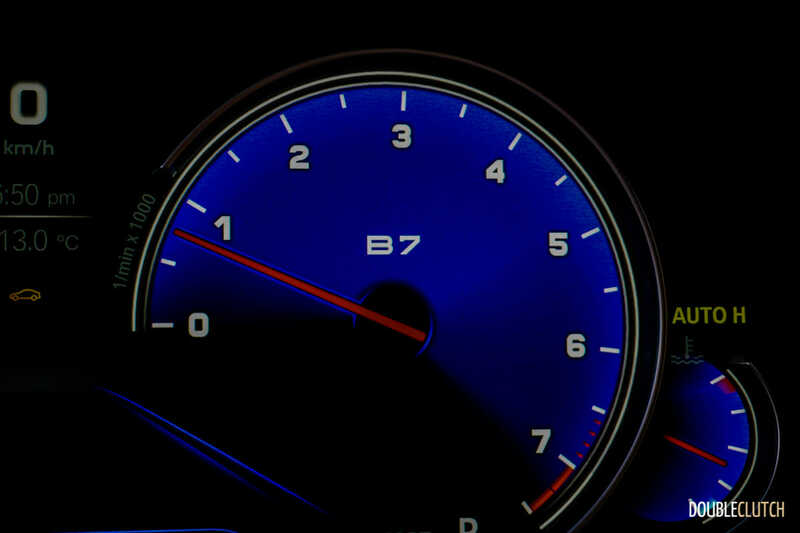 We didn’t get a chance to push this car on a closed course setting, but even at highway speeds, the B7 is impossibly smooth. 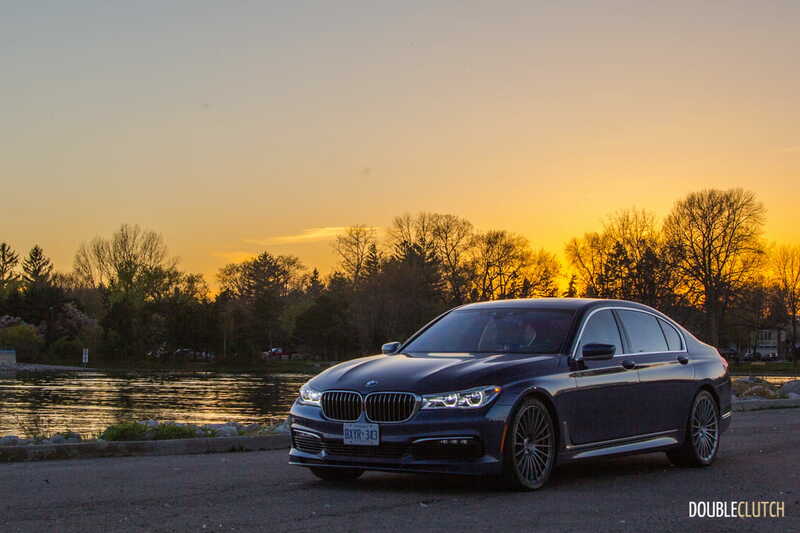 From a handling perspective, the B7 is remarkably eager to jostle around corners. 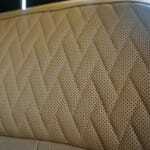 The electric power steering has a good amount of weight to it and the car responds with enthusiasm. For a long-wheelbase executive sedan, the Alpina is agile and almost makes you forget about its size. 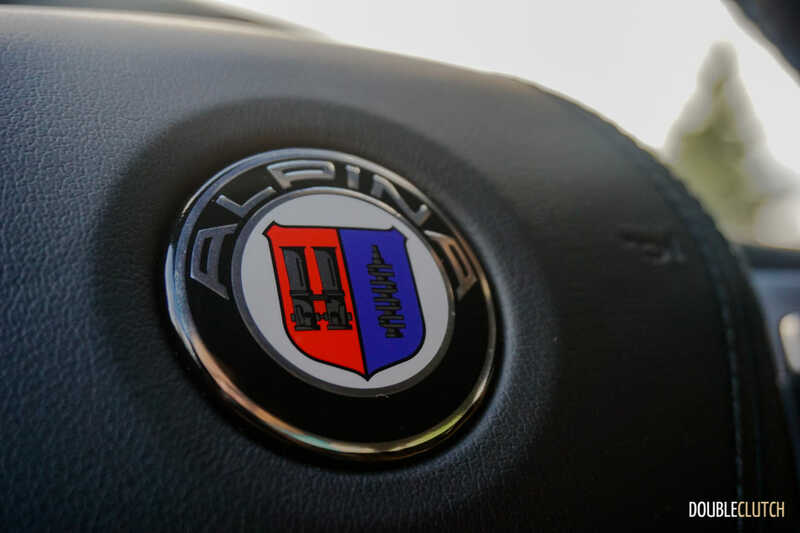 Alpina equips four-wheel steering, called “Integral Active Steering”, too. Exiting corners is fun, with a confident bark from the dual-mode exhaust, possibly coupled with some induced oversteer if you so desire. It may not be a sports car, but the B7 is likely one of the most fun sedans in the ultra-luxury segment. 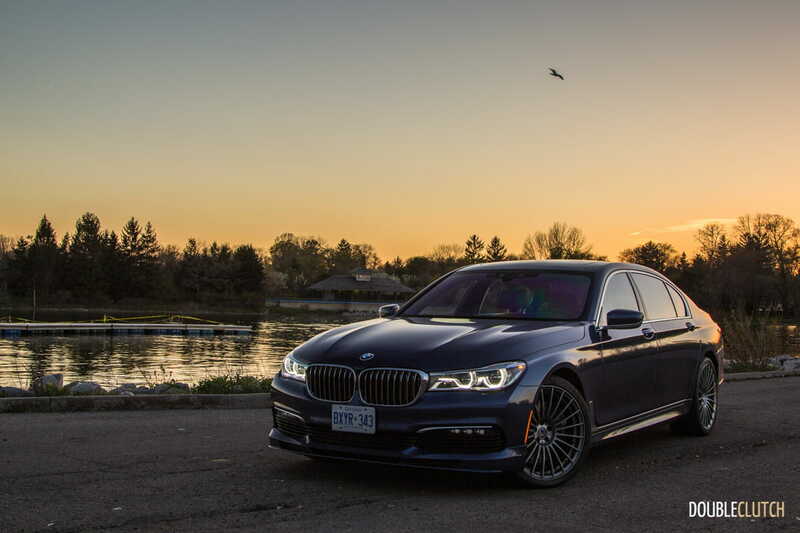 The fun doesn’t come at an expense of luxury though, because at the end of the day, the B7 is still a 7-series, a car that packs oodles of luxury and technology almost unmatched by anything else available right now. 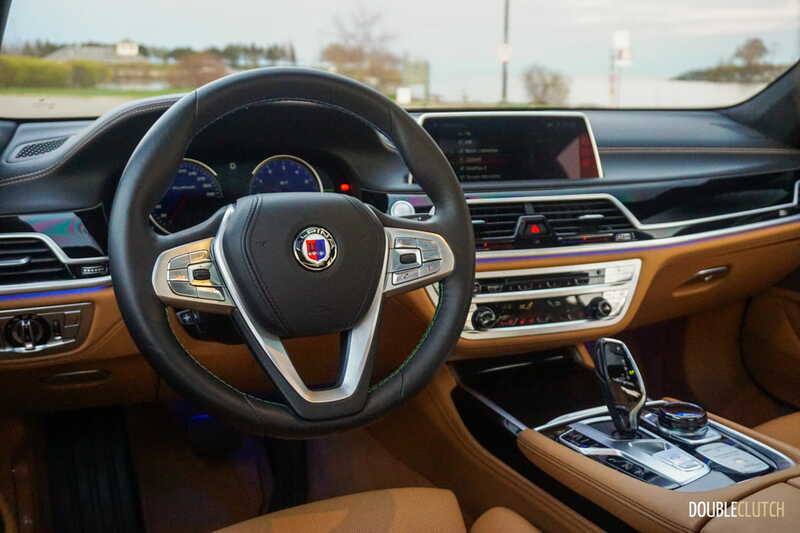 The interior of the Alpina B7 is unmistakably BMW, but with some added touches that make it more special than the 750i. 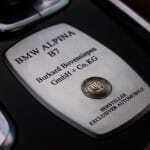 The BMW badges have all been replaced with Alpina logos, including in the deep-pile floor mats. 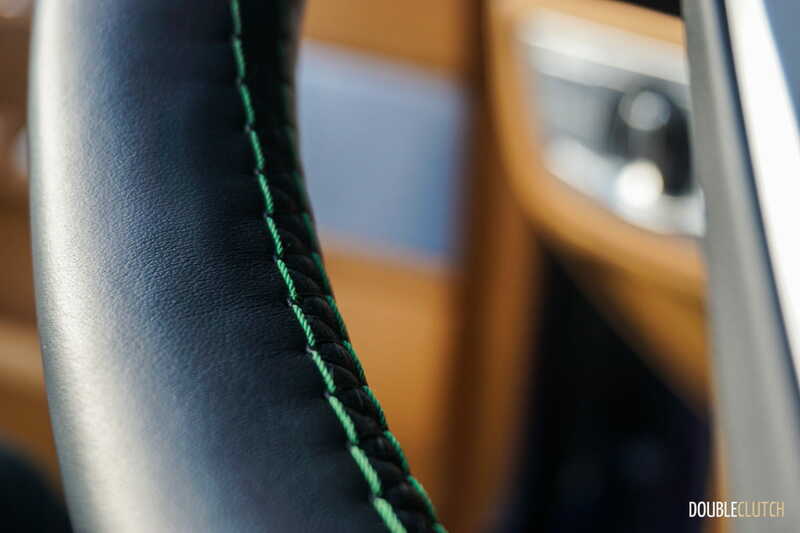 The stitching on the leather-wrapped steering wheel is contrast blue and green, which perfectly complements the Caramel Full Merino Leather equipped here. 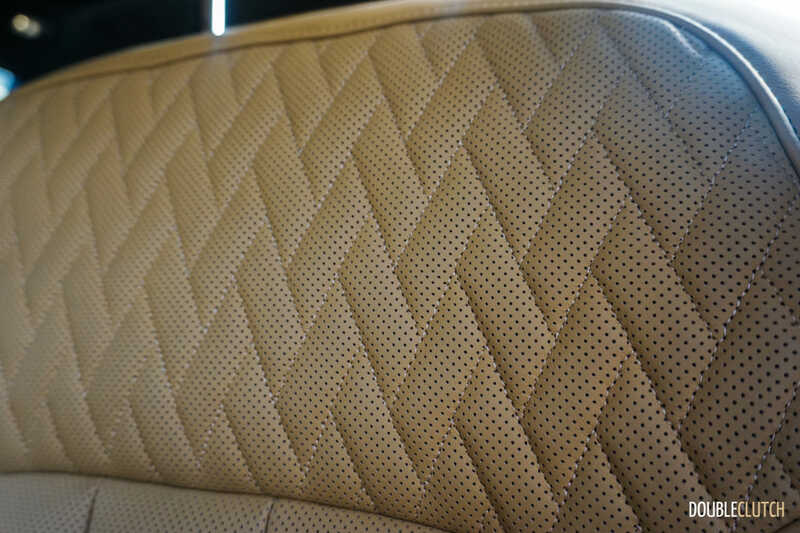 There is leather everywhere, from the dashtop to the instrument panel and everywhere else – an Alcantara headliner finishes off the cabin. 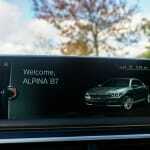 Even the “paddles” are elite, as the standard BMW examples have been replaced by Alpina’s “Switch-Tronic” system. 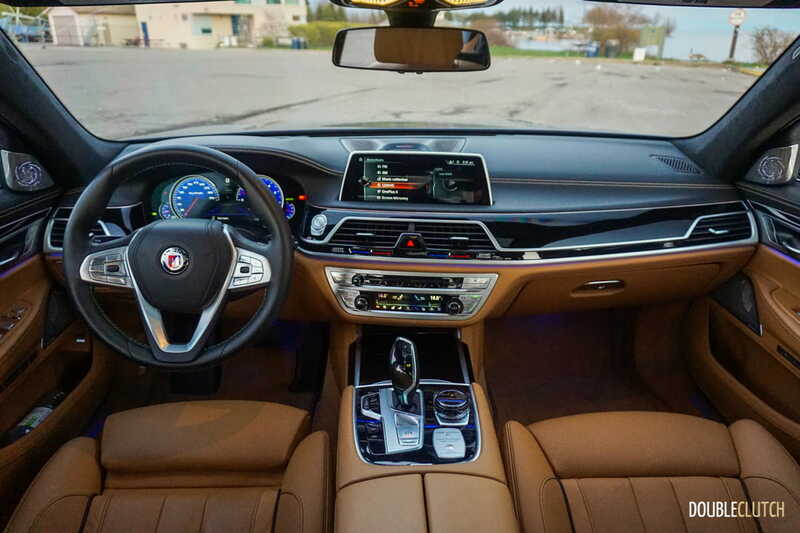 They’re soft-touch buttons located on the back of the steering wheel, which are just as responsive should you choose to change gears manually. 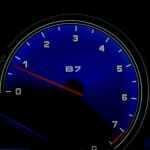 The instrument cluster is one of the prettiest parts of the car – the digital gauges are backlit in a deep blue in the Comfort setting, and change skins depending on the drive mode used. Lighting is key here, and the Sky Lounge panoramic sunroof has ambient lighting built into the glass with configurable colours. 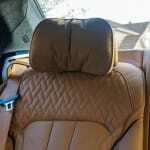 There’s no shortage of tech within the B7’s interior, though most of it is shared with the standard 750i (reviewed here). Gesture Controls execute basic commands like track skip and volume with a casual flick of the fingers. Ambient Air means mild scents can be pushed through the climate control – these scents can be changed out if they don’t meet your liking. 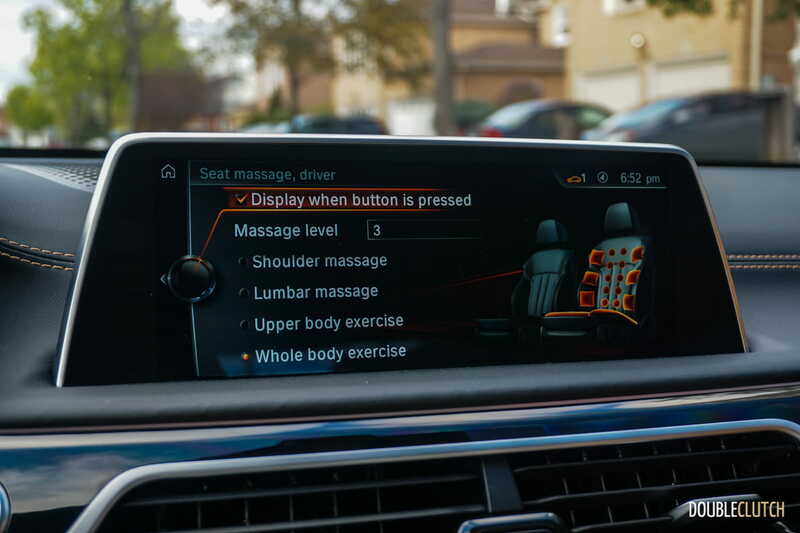 There is a Samsung tablet on the rear center console that toggles all of this, plus massage and power seat settings. 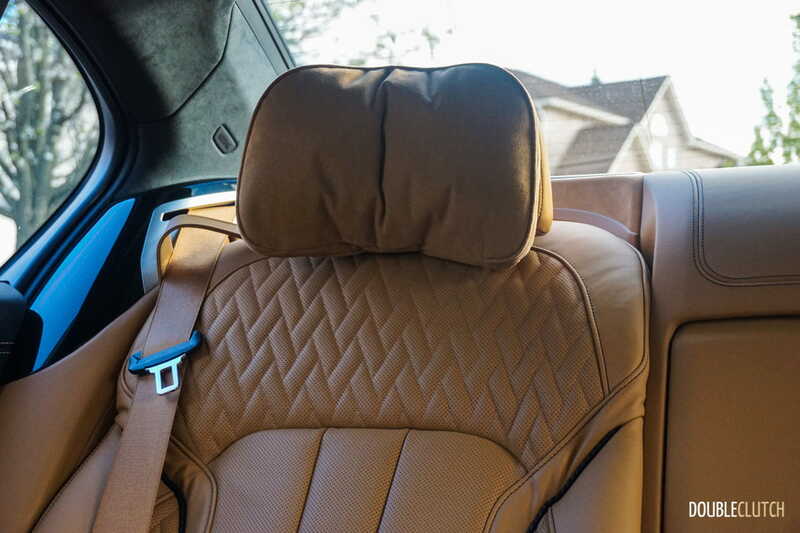 The rear passenger side seat can be fully reclined and a small footrest folds down, all at the press of a button. 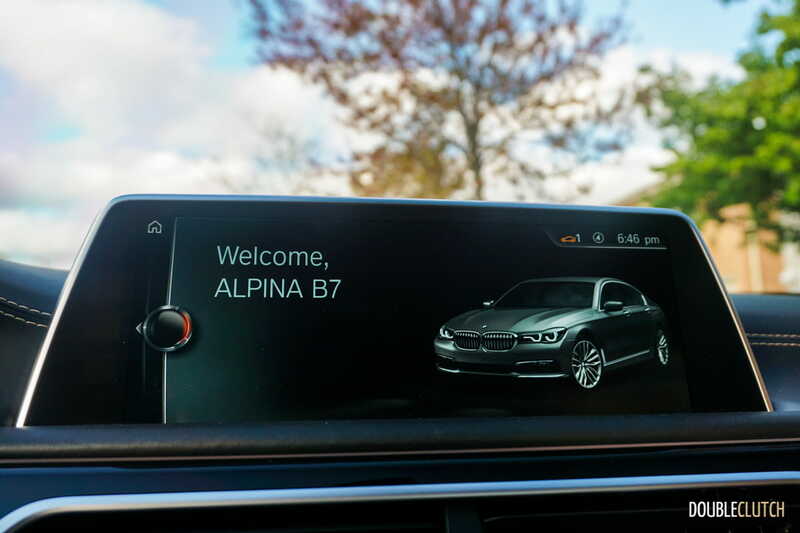 BMW’s iDrive infotainment system has been perfected even more this year, with the implementation of Apple CarPlay. 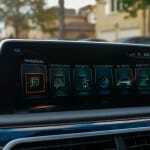 Unlike any other manufacturer at the time of this writing, BMW actually allows you to use this technology without using a wired USB connection. It works wirelessly and is seamless. 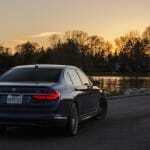 There is still the iDrive controller that talks to the responsive system – menus are quick and easy to find. 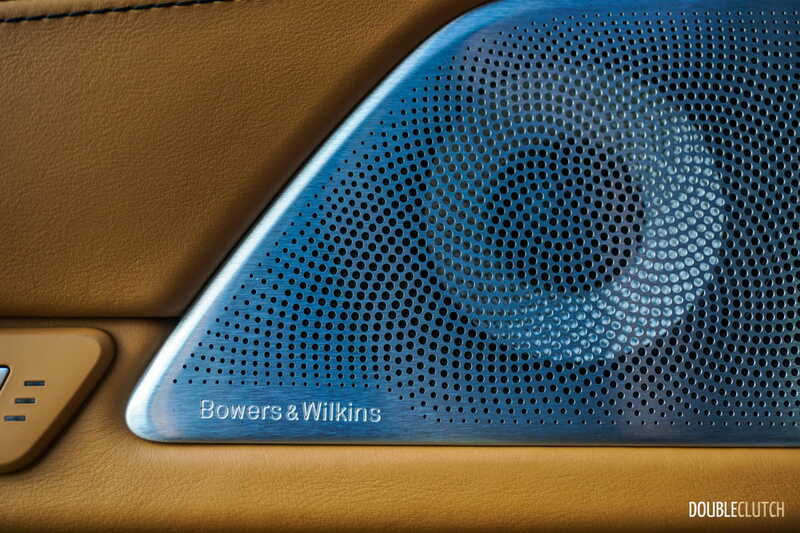 The Bowers & Wilkins Diamond sound system sounds incredible, though it’s a $4,900 option and skipping it means the car still comes with a Harman/Kardon setup that sounds pretty good. In Canada, the Alpina B7 starts at $155,900, a $35,000 premium over the 750Li. 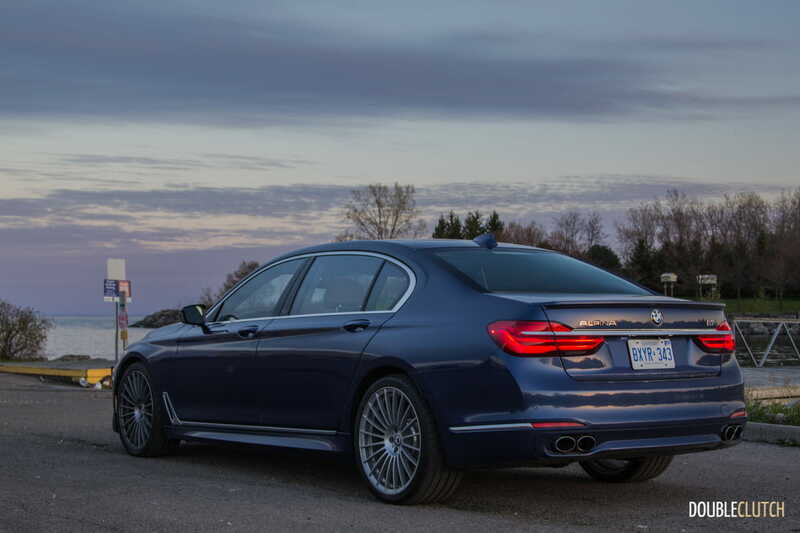 The $10,000 Executive Lounge Tier 2 package gets the full rear seating shebang, though what really stands out is the $5,500 Alpina Executive Package. 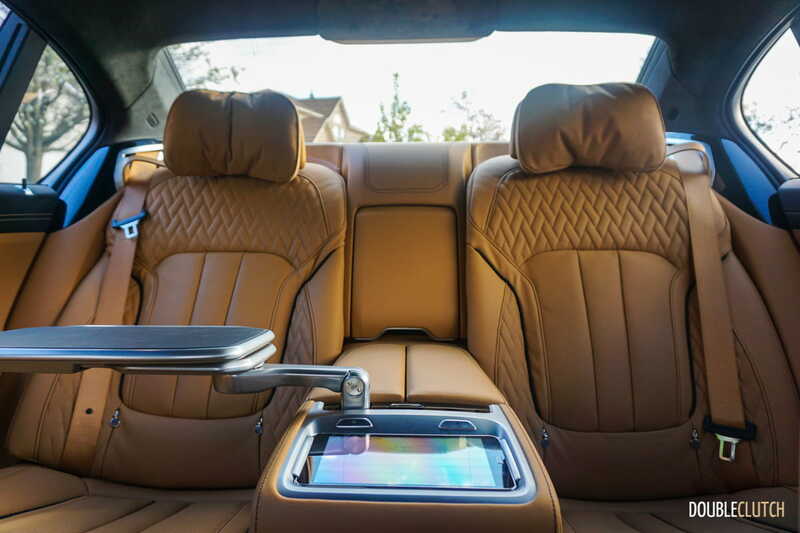 This adds climate comfort glass, ventilated seats, massage, and satellite radio. 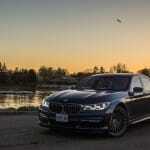 The Alpina BMW Individual Package ($4,900) adds individual leather, piano black wood trim, and the Alcantara headliner. 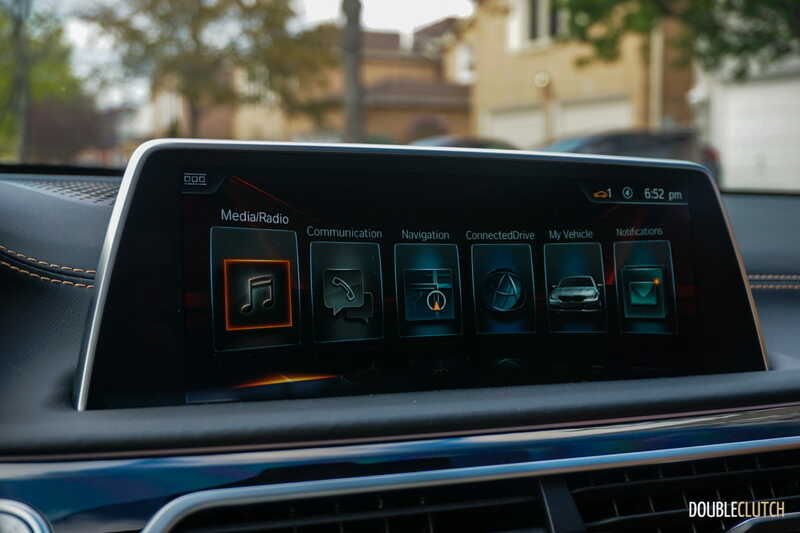 Standalone options on our car include $600 Ceramic Controls (must have! 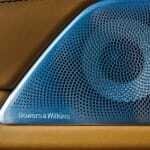 ), the Sky Lounge glass ($1,000), Ambient Air ($500), and the Bowers & Wilkins stereo. 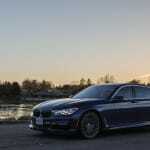 All in, the car tested is priced at $183,300 before taxes and fees. 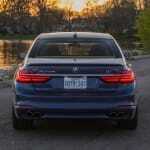 Tuned for 93-octane fuel, BMW rates the new Alpina B7 at 14.7L/100km city, 9.7L/100km highway and a combined rating of 12.5L/100km. Our test consisted of a lot of highway driving, though spirited acceleration is essentially unavoidable with a car of this caliber. We averaged 13.4L/100km over about 900km of driving. 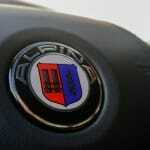 The tank holds 78L of fuel, and in favour of refinement and quietness, Alpina has removed the idle start/stop system. 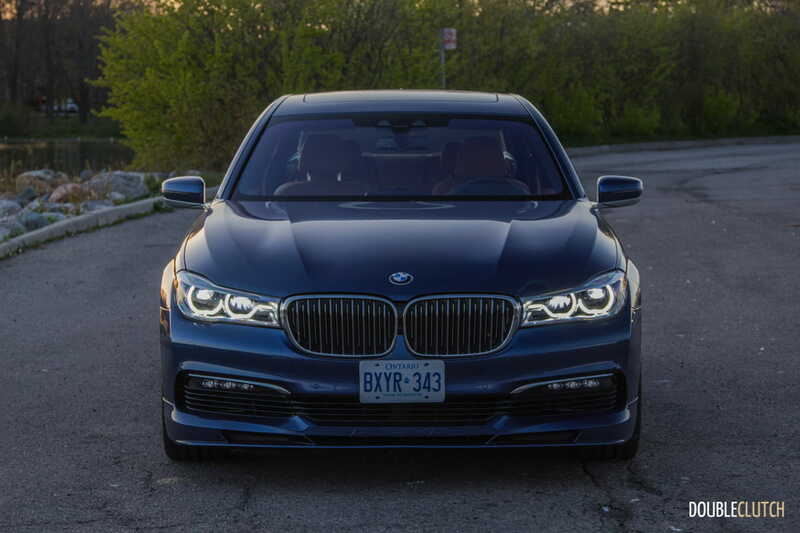 This means fuel efficiency is slightly worse, but BMW’s start/stop system is coarse in operation, so it’s neat to see this go away and result in a much smoother car. 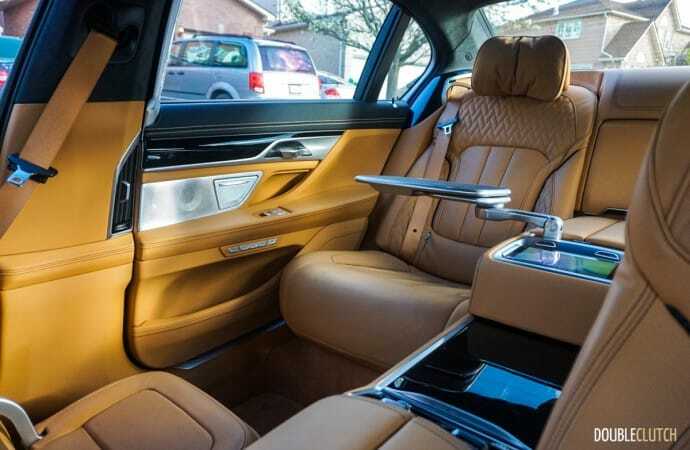 Exclusivity is the name of the game here, and if an S-Class is too pedestrian and the normal 7-series is just that – too normal – something else may be in order. 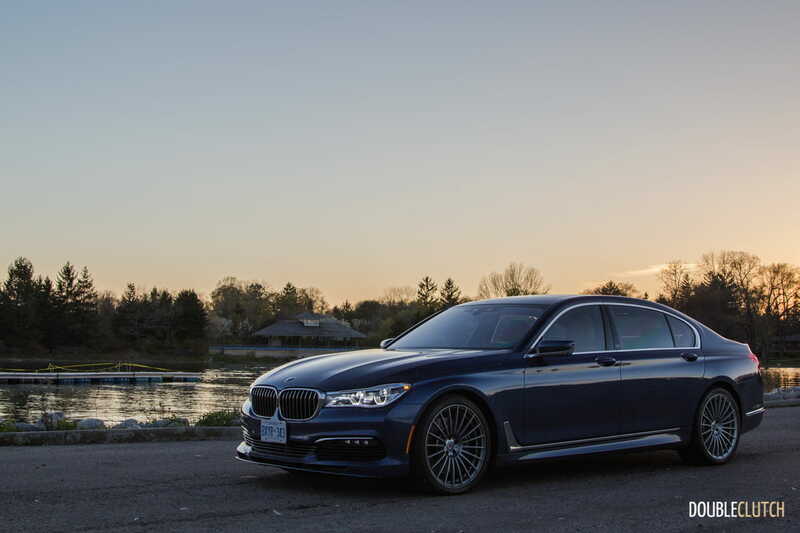 The 2017 BMW Alpina B7 xDrive is an exercise in the ultimate driving machine combined with levels of luxury seen in the likes of the Rolls-Royce Wraith (reviewed here). 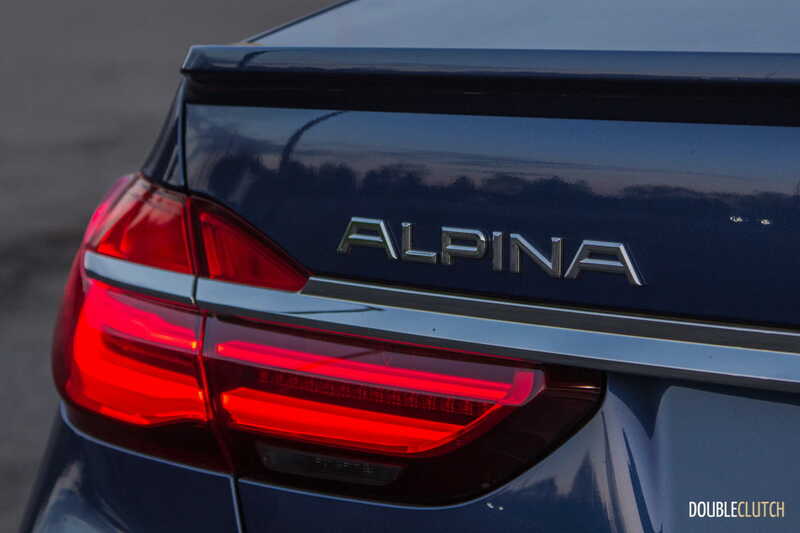 Unlike the hyper grades of luxury motoring though, the Alpina is a car that can be driven year-round and without the paranoia of a status symbol. This is the car you buy if an engaging driving experience is just as high on the priority list as having a car that offers premium appointments superior to almost anything else.